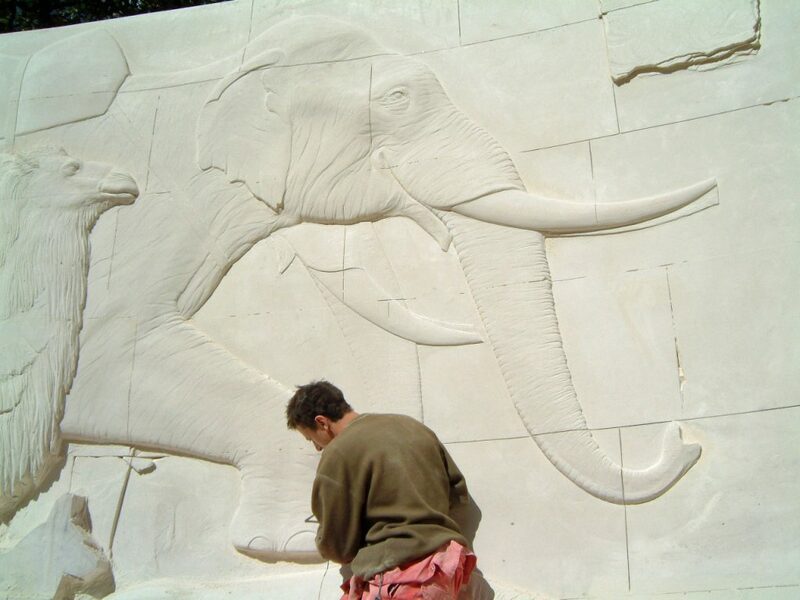 Richard has been working stone by hand since his apprenticeship as a stonemason in 1980. This included study at the Cambridge College of Arts and Technology where he achieved his advanced City and Guilds with distinction. He was fortunate enough to have the opportunity to learn the more sculptural side of this trade within his training which included working with wood. His life has always centred around stone and his experiences working on buildings such as Westminster Abbey, King's College Chapel and Ely Cathedral to the more modern is the crucible that began the formation of his own ambitions. He formed his own company in Cambridge with three partners in 1989 and continued there for 15 years. He has been commissioned in numerous public art and private projects. 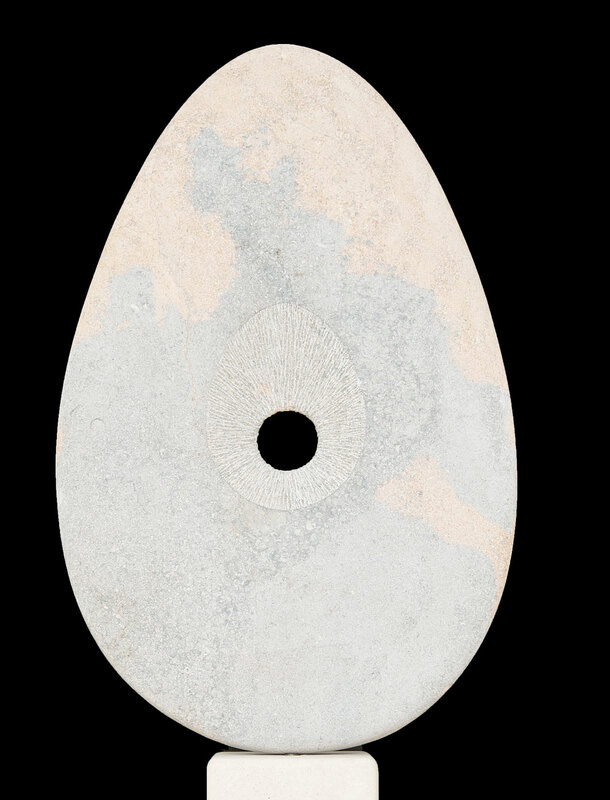 Although no more comfortable than with a scant of stone ready to be worked, Richard moved to Cornwall to pursue a more individual experimental and speculative way of sculpting. 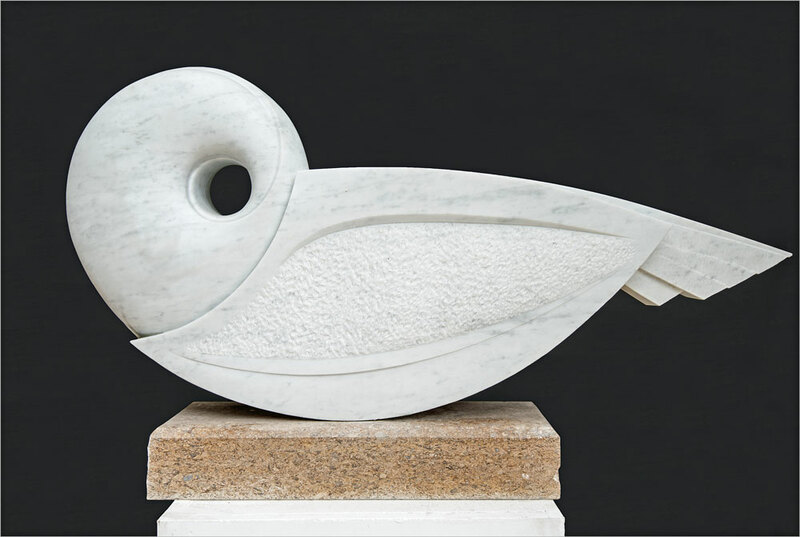 He has a strong belief in things done properly and thoughtfully and that stone can retain a strong voice in the world of fine art. No subject matter escapes his interest. Some of his work may be semi-autobiographic, reflections on society, of life abstracted, but fine line, form and deliberacy tie together his sculptural forms. 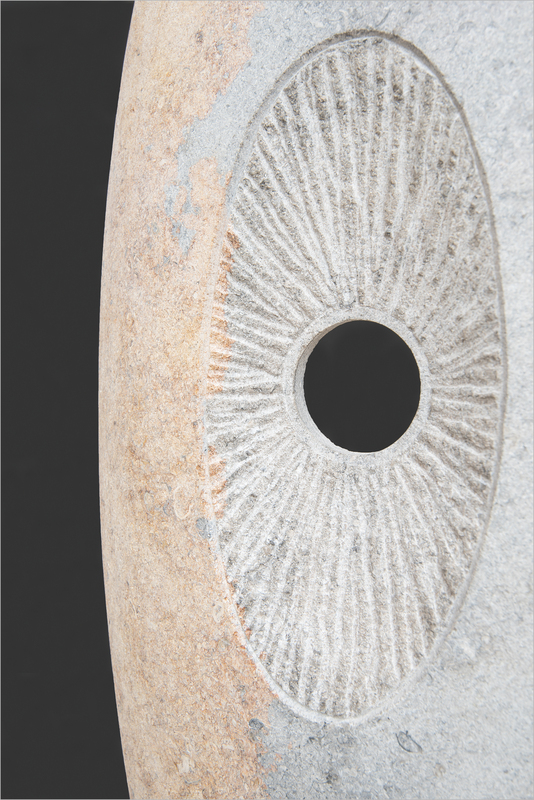 The forms remain dynamic and clearly retain the energy from the chisel. The peace and quiet of life on the Lizard in Cornwall are very agreeable to Richard and allows him clean fresh meanderings of the mind.